When you choose to spray Bullet Liner on your truck, your investment is not only safe but tested in very extreme conditions. Bullet Liner has been used and tested on race and chase vehicles in the prestigious Baja 1000 and in subzero conditions only found in the wilderness of Alaska. 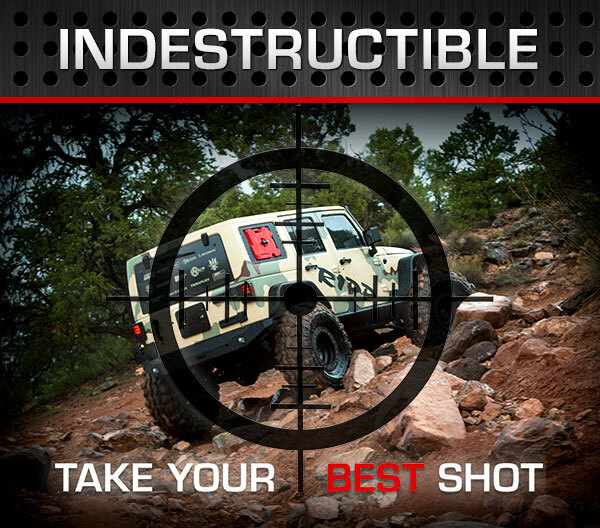 Bullet Liner protects critical components on vehicles to survive impacts from rocks, debris and extreme use only found in these types of terrains. Bullet Liner high tensile strength material provides a superior layer of protection our competitors cannot match. Using a high pressure system, to achieve this unique strength, distinguishes our product from other bed liner companies. Other spray-on bed liner companies use a low pressure system that produces a softer bed liner that often is more susceptible to material failure resulting in gouging or even tears. Bullet Liner prides itself on using higher quality raw materials to produce a fine grain texture that does not "clump" or "sag" on vertical surface. Bullet Liner looks as if it came pre-installed from the vehicle manufacture. 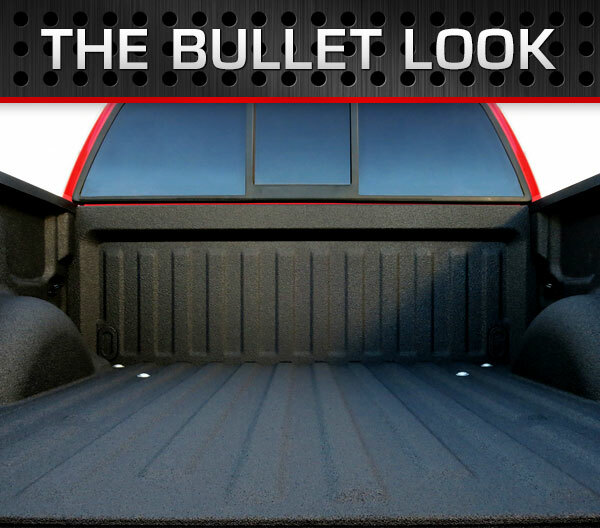 Bullet Liner provides a permanent bond that conforms to every contour of your truck bed. This bond creates a barrier from moisture, rust and corrosion for the lifetime of your vehicle. Bullet Liner is resistant to most chemicals making it a superior material for use in industrial applications. 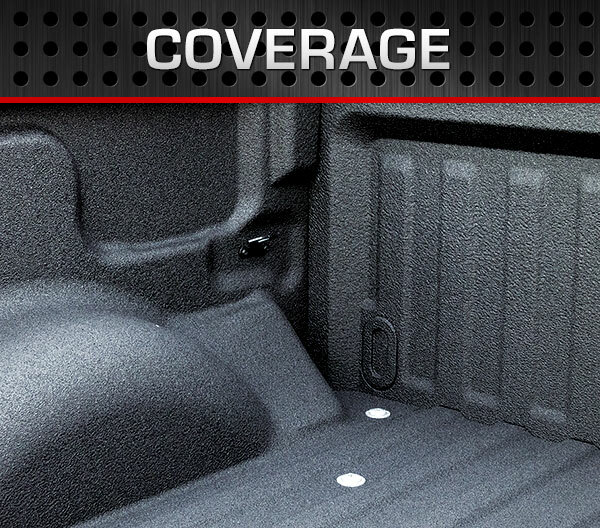 Unlike other spray-on or drop-in bedliners, a Bullet Liner treatment is professionally applied at high pressure and high temperatures, bonding instantly and permanently to your truck. Made from a two-part polyurethane elastomer system, Bullet Liner uses equal parts of an "A" component, or hardener, and a "B" component, or resin. Using special equipment, the two liquids are combined to create a polyurethane elastomer with tough, durable, protective properties. The Bullet Liner dries in just 3 seconds, preventing runs or pooling that can occur with a cold, low pressure spray-on product. With a pre-scheduled appointment, the total job (including bed preparing, masking and spraying) will take a few hours depending on the size of the area. For best results we recommend waiting a full 24 hours before putting your new Bullet Liner to the test.